If you’re looking for replacement windows for your home in Wilmington, then you have come to the right place. 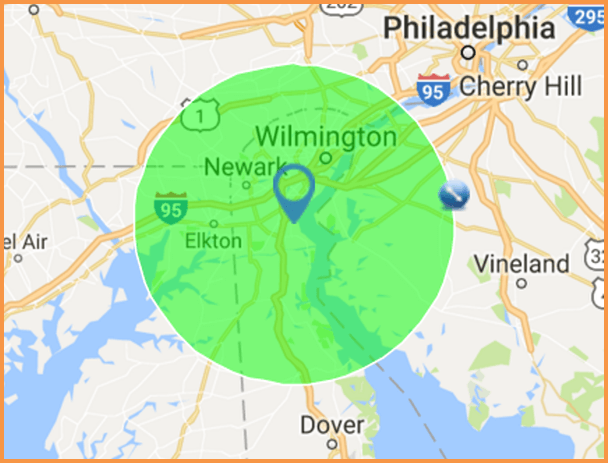 Our team of professional window and patio door replacement experts here in Delaware are committed to providing homeowners with beautiful, functional, and energy efficient products matched with our unrivaled customer service. Call today and learn more about our high quality replacement doors and windows. What do you get when you combine stunning customer service, superior processes, and exclusive products? The answer is Signature Service from Renewal by Andersen. We own each step of the window replacement process, from the initial design to finishing touches on installation, giving you a single point of contact to take the hassle out of replacing your windows. It’s the kind of service you would expect from the Andersen name, and it’s only available at Renewal by Andersen. Welcome to Renewal by Andersen windows of Wilmington. We are Delaware’s most-trusted source for beautiful, energy efficient replacement windows and patio doors. Our products are perfect for older homes or historic locations, bed and breakfasts, or any space that needs a custom sized window replaced. If you value precision, beauty, and energy efficiency, you won’t be disappointed by our exclusive Renewal by Andersen products. When you purchase your replacement windows from Renewal by Andersen, you can rest at ease knowing that you have a highly trained team of professionals handling your project, as well as one of the best warranties in the window industry. Call us today to set up a free in-home consultation with one of our knowledgeable design professionals who can help you choose the perfect replacement windows or doors for your home. One of the first considerations when getting replacement windows for your home is choosing a company that you trust. As the full service replacement window branch of the Andersen Corporation, Renewal by Andersen has been building trust with our customers for over 100 years. We take great pride in treating each project with the precision and care we would expect for our own homes. It’s also important to think about the energy efficiency of your new windows. Energy efficient windows can lower your energy costs year after year. Our unique Fibrex material ensures that your new windows will maintain their weathertight seal for decades to come. Finally you want to pick a product that will increase the beauty of your home. Our replacement windows come in a variety of colors and have customizable hardware and grilles, so you’ll be able to create the perfect windows to complement your home’s unique aesthetic. Our process starts with a no-cost in home consultation with one of our design consultants, who will help you choose the perfect style for your new replacement windows. Additionally, we will perform an energy analysis on your current windows to see how much energy loss your home experiences on a daily basis through your windows. When you call for a consultation, we will gladly work around your schedule to make sure our visit is convenient and helpful. When you choose Renewal by Andersen to handle your window or patio door replacement, we can even help you figure out payment or financing options that work best for you. Once everything is signed and finalized we will send your custom window order to our factory right here in the U.S. When your custom windows are completed, we will call you to schedule a time for installation. Our courteous and skilled installation technicians will come to your home and install your new windows, making sure each one fits perfectly. This process generally only takes a couple of days depending on how many windows you are having installed. We take the time to carefully measure each window opening in your home to ensure that your new windows fit perfectly, rather than alter the structure of your home to fit a standard sized window. This process helps protect your home from water damage and keep your living spaces draft-free. The perfect seal on your new windows will also help to reduce your energy costs, saving you money every month. With replacement windows from Renewal by Andersen, you’ll also get a significantly better view. Our patented Fibrex material is strong enough to allow us to make our window frames slimmer than any of our competitors, giving you the best view possible from your new windows. 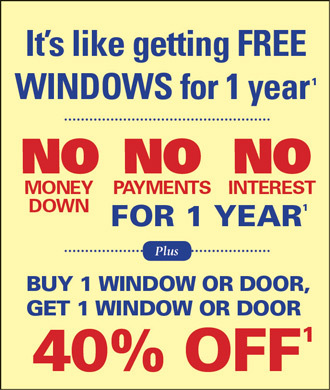 We also offer one of the best limited warranties in the replacement window business. This includes a 20 year limited warranty for glass, 2 year limited warranty on installation, and 10 year limited warranty on other components. At Renewal by Andersen, we take great pride in taking care of our customers even after installation is completed. If there are ever any problems with your windows, don’t hesitate to call us and we’ll make it right. Replacement windows from Renewal by Andersen give you far more added value than replacement doors or windows from any other installation company. For starters, you’ll have the peace of mind that comes with working with a company that’s been in the business for over 100 years. Our high quality construction and incredible warranty will make sure your windows will last for decades to come. Having our windows installed can also substantially increase the value of your home due to our reputation for being the best replacement windows in America. Most importantly you’ll have the best customer service in the industry and state of the art products that you can tailor to match your exact vision for your home. Renewal by Andersen proudly sells and installs highly energy efficient custom window replacements and patio doors throughout Wilmington and Northern Delaware. Contact us today for a price quote on our start to finish window and patio door replacement.